Choose your favorite layout, full-page spreads, captions, grids, and multiple photos per page. Add captions and change the background color of each page as well as fully-customize the cover. Hardcover, or softcover - choose your preferred book type for a flawless finish. 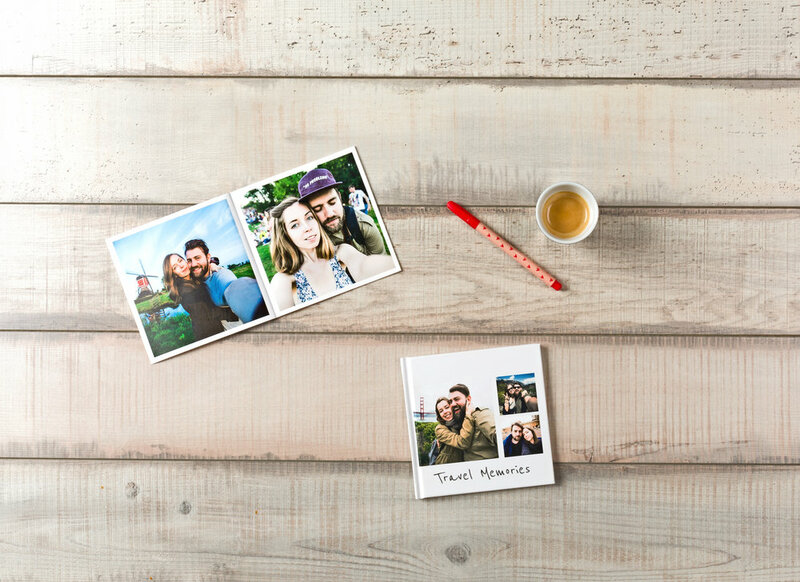 The best way to remember & preserve your best moments! Hard Cover VS Soft Cover, what's your favorite? Build your photo book within minutes uploading your photos directly from your phone, tablet, and desktop. Or select directly from your favorite photo sources such as Facebook, Instagram, Dropbox, Google, and Microsoft. Printiki ships worldwide. Learn more about shipping information and prices here.